Prime Minister Ranil Wickremesinghe has directed Sports officials to probe how 46 officials accompanied a 9-member sports team that represented Sri Lanka at the recently concluded Rio Olympics. The Prime Minister has also ordered officials to submit a full report on the activities of the National Olympic Committee of Sri Lanka for the past five years. The Prime Minister has specially directed them to include information on those who attended the Rio Olympics from Sri Lanka. 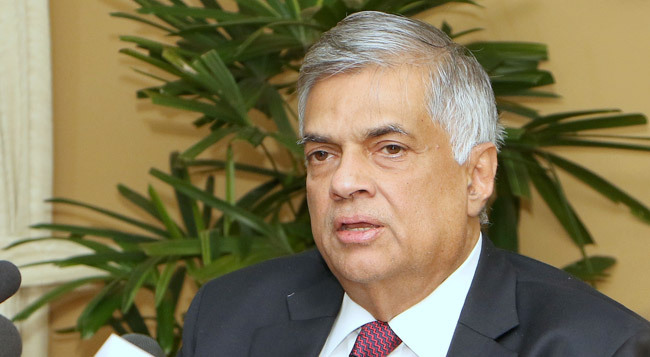 Prime Minister Wickremesinghe has made these decisions following numerous complaints received by him and President Maithripala Sirisena regarding the activities of the National Olympic Committee in the recent past. Why does Ranil need a probe ?Just ask the sports minister Dayasiril why he sent so many on a state paid jaunt ? Like Zimbabwe, we need to arrest all this officials. They were wasting public money for past 60 years. Who is the brainless donkey that permitted this band of idiots to go with the athletes. Did they carry the players on their shoulders? Do they have any concern on tax payers' money?